#TBT: Alessandra Ferri and Robert LaFosse in "The Two Pigeons"
They say that pigeons mate for life—perhaps that's why these birds naturally symbolize the young lovers in Sir Frederick Ashton's The Two Pigeons. In these two clips from a 1987 performance in Pisa, Alessandra Ferri and Robert LaFosse—then stars with American Ballet Theatre and New York City Ballet, respectively—dance a rapturous pas de deux at the end of Act II. With tiny pricks of her feet and bird-like flaps of her elbows in Part 1, Ferri marks her anguish, thinking she's been abandoned for another woman. Later, both she and LaFosse grow more and more entangled as they reconcile, Ferri dancing with the passionate abandon she's famous for. I love how in Part 2 (0:20), they can't seem to get enough of each other as their necks arch and intertwine. At the end of the ballet, two pigeons fly in to perch symbolically on the chair—er, there's supposed to be two. It looks like one missed its cue at this performance! No matter—Ferri and LaFosse's dancing make it clear that these young lovers are meant to be together for life. Happy #TBT! 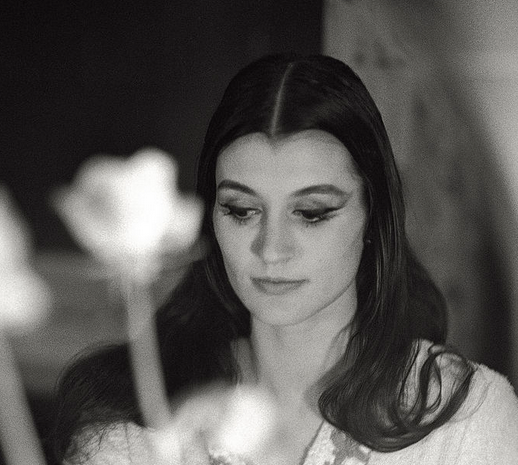 Carla Fracci photographed in 1967. Photo via Amicapercaso. The Fountain of Youth might be in Italy. Alessandra Ferri, 53, is defying all preconceived notions about the length of ballet careers. But she isn’t the first Italian to do so. 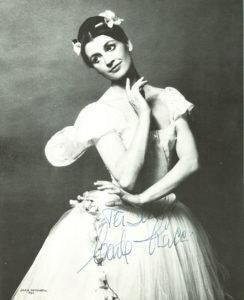 Carla Fracci, a former prima ballerina at La Scala Ballet and international guest artist, who started her career in the 1950s, didn’t stop when convention might have told her to. This clip, from a 1987 television series called the “The Ballerinas,” proves it. At 51 years old, Fracci isn’t doing an easy skip of a variation. Here she tackles one of the hardest dances in the classical canon: the Rose Adagio. Aurora’s iconic dance with four suitors is a challenge in stamina, a test in technique and definitely a trial in composure, particularly during the promenade balance section. When this sequence repeats at the end, the music crescendoing as high as the expectations, Fracci is unflappable. With rock-solid strength and softness rivaling that plush pink tutu, she finishes with an ebullient smile. Best known for her Giselle portrayal, Fracci has (we think) retired from the stage and taken on humanitarian work later in life. In 2004, she was named a Goodwill Ambassador of the Food and Agriculture Association, a United Nations agency dedicated to fighting hunger around the world. Happy #ThrowbackThursday! Photo by Giuseppe Pino via Mondadori Portfolio. Ferri and Wayne Eagling (1984). Photo by Leslie Spatt via The Guardian. June 23 is finally here, and we couldn’t be more excited! Tonight, internationally acclaimed ballerina Alessandra Ferri, 53, returns to American Ballet Theatre to reprise the role of Juliet alongside Herman Cornejo in Sir Kenneth MacMillan’s Romeo and Juliet. For some, tonight’s performance is one more opportunity to see the former ABT and Royal Ballet star dance the role she’s most famous for. For others, it is a chance to see her legendary Juliet live for the first time. Until then, let’s enjoy this 1984 clip of Ferri, then a newly promoted Royal Ballet principal, in the bedroom pas de deux. With youthful ardor, she breathes life into the Shakespearian heroine. Ferri and her partner, former principal Wayne Eagling, abound in bashful and impassioned embraces, their movements across the stage both dramatic and fleeting. My favorite moment starts at 0:16, as the couples’ gentle cambrés give way to fiery, abandoned lifts. We thought we had seen the last of Ferri when she retired in 2007. Yet she made an unexpected comeback in 2013, and has since starred in Martha Clarke’s Chéri, John Neumeier's Duse at Hamburg Ballet, and The Royal Ballet’s production of Wayne McGregor’s Woolf Works. We’re anxiously waiting to see how Ferri’s matured perspective influences her latest performance, and we can’t wait to see what else the future has in store for her. Happy #ThrowbackThursday! Ferri and Roberto Bolle at her farewell ABT performance. (Not farewell for long!) Photo by Nan Melville via NYTimes. Alessandra Ferri is unstoppable. At age 53, the seemingly ageless ballerina is still inspiring choreographers, dancers and audiences with her endless curiosity, galvanizing artistry and, of course, those beautiful feet. In the last three years alone, she’s created leading roles in Martha Clarke’s Chéri, John Neumeier’s Duse and Wayne McGregor’s Woolf Works. And in exactly one month, she’ll be returning to American Ballet Theatre to reprise her most famous role as Juliet in Sir Kenneth Macmillan’s Romeo and Juliet. Perhaps that’s why Boots No7, a pharmacy chain based in the UK, chose her to star in its recent skincare campaign. In it, Ferri dances alongside a hologram of her 19-year-old self (the age she became a principal dancer at The Royal Ballet). Watching them together in unison, it’s fascinating to see how the delicate, wide-eyed teenager has developed into a powerfully self-assured woman. At one point, the two pause and observe one another with curiosity before the older Ferri confidently bursts away in a series of turns. The ad may not have much to do with skincare (although it finishes with a close up of Ferri's luminous face), but we can't think of a better spokesmodel. The tagline, “Ready for More,” says it all; Ferri certainly is. In addition to Juliet, she is scheduled to perform with The Royal Ballet and Hamburg Ballet next year. 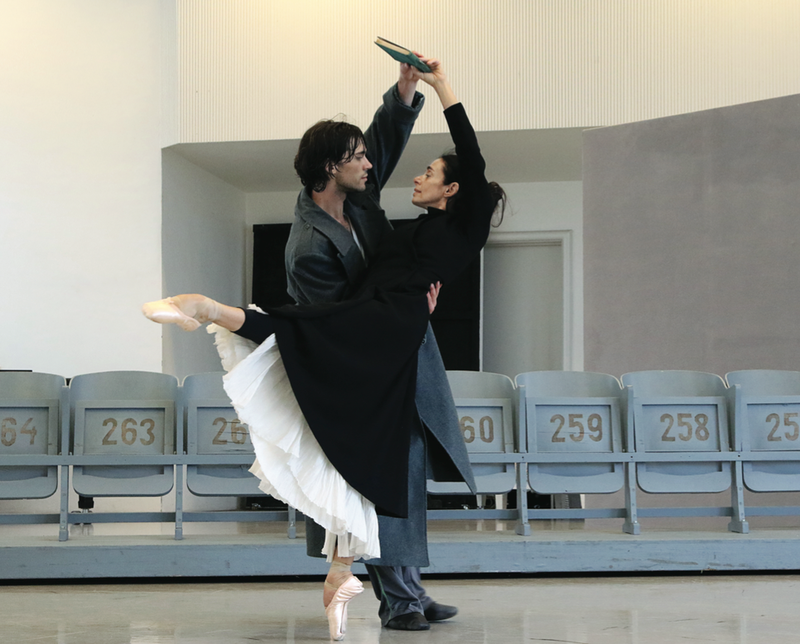 In rehearsal for Duse with Hamburg Ballet principal Alexadr Trusch. Photo by Holger Badekow, Courtesy Hamburg Ballet. Alessandra Ferri, the iconic dance actress, has emerged, at age 52, from a six-year retirement into an astonishing post-career. After successes with projects like Martha Clarke's Chéri and the critically praised Woolf Works at The Royal Ballet, Ferri has been tapped by Hamburg Ballet's John Neumeier as the muse for his Duse—Myth and Mysticism of the Italian Actress Eleonora Duse. As an actress at the turn of the 20th century, Duse's performances were both highly popular and critically acclaimed, and she was lauded by writers like Anton Chekhov and George Bernard Shaw. The ballet, set to music by Benjamin Britten and Arvo Pärt, will premiere on December 6. Why did you return to performing? I realized a part of me was switched off. I love creating and dancing and performing with other artists. I feel very much alive when I do that. The first thing I did—The Piano Upstairs—was a fascinating collaboration with John Weidman. Then Martha Clarke came along (with Chéri). It all happened without me looking for it. Now I'm more conscious of my desire for doing it. At the moment I feel free and much more appreciative of the talent I was given. Alessandra Ferri, the iconic dance actress, has emerged, at age 52, from a six-year retirement into an astonishing post-career. 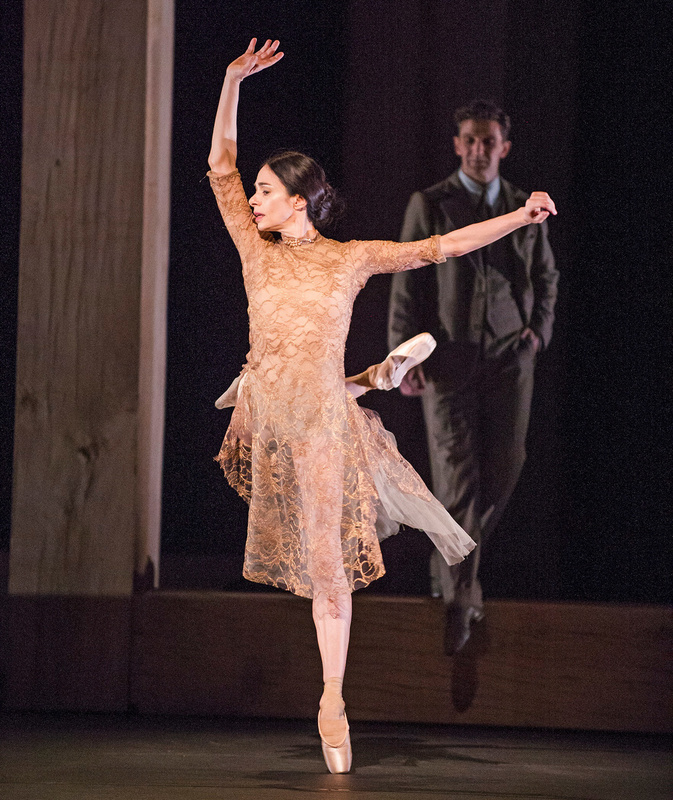 After successes with projects like Martha Clarke’s Chéri and the critically praised Woolf Works at The Royal Ballet, Ferri has been tapped by Hamburg Ballet’s John Neumeier as the muse for his Duse—Myth and Mysticism of the Italian Actress Eleonora Duse. As an actress at the turn of the 20th century, Duse’s performances were both highly popular and critically acclaimed, and she was lauded by writers like Anton Chekhov and George Bernard Shaw. The ballet, set to music by Benjamin Britten and Arvo Pärt, will premiere on December 6. I realized a part of me was switched off. I love creating and dancing and performing with other artists. I feel very much alive when I do that. The first thing I did—The Piano Upstairs—was a fascinating collaboration with John Weidman. Then Martha Clarke came along (with Chéri). It all happened without me looking for it. Now I’m more conscious of my desire for doing it. At the moment I feel free and much more appreciative of the talent I was given. What does John Neumeier wish to explore with you in Duse? I think John has always been very passionate about theater and acting. Eleonora Duse was the first modern actor. She completely changed the art form. She was a very complex, strong and vulnerable woman and very devoted to her art. It’s funny—when I’m talking about her, I’m saying the same things about myself. She felt alive when she was onstage. What is it like to portray a real-life character? It’s so hard in dance to just be biographical because dance is the language of emotion. Duse starts out at the end of her life. John is interested in exploring the different woman she was with all these men in her life, like the poet Gabriele D’Annunzio. She really wanted to help and console people. She suffered a lot in her life and was very sensitive to suffering. Did you make any special preparations for the role? I visited two museums—one in Venice and one in Asola—which house some of Duse’s original letters and clothes. I also read the book Il Fuoco by D’Annunzio, which describes her life. NYCB's men in Rodeo: Four Dance Episodes. Photo by Paul Kolnik, Courtesy NYCB. What left us breathless and wanting more. Perfectly matched: Poretta and Imler in Forsythe's In the middle, somewhat elevated. Photo by Angela Sterling, Courtesy Pacific Northwest Ballet. Whenever Pacific Northwest Ballet principal dancers Carrie Imler and Jonathan Porretta take the stage together, the audience expects a great performance. The veteran company members are longtime friends as well as frequent partners, and their ease with choreography and one another always shows. But their technical confidence and mutual trust reached rarefied heights in PNB's all–William Forsythe program last March. Master of her craft: Ferri in Woolf Works. 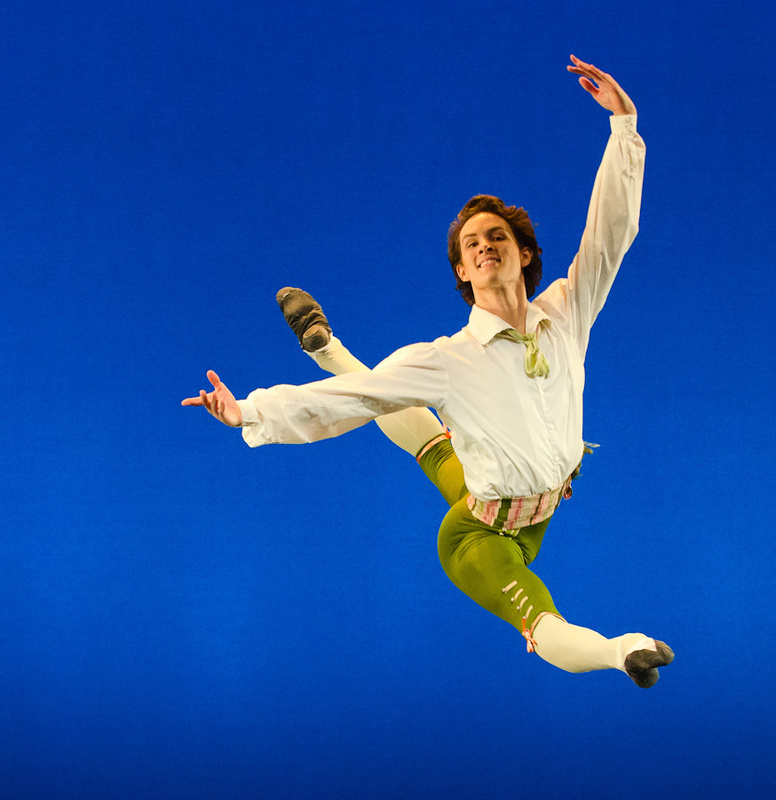 Photo by Tristram Kenton, Courtesy ROH. Alessandra Ferri has long transported us in roles of larger-than-life passion. But portraying Virginia Woolf, a woman who writes difficult novels—that's possibly even harder to pull off. For Woolf Works, Wayne McGregor's first full-length for The Royal Ballet, he insisted that Ferri, 52, be his star. And she fulfilled this assignment with flying colors. As she stood behind a scrim of jumbled words, we sensed her alertness to language. When she extended her lower leg toward the floor, it was not to show off her exquisite instep, but to point to something she'd observed with a writer's eye. Rich made his last Cedar Lake performance unforgettable. Photo by Shoko Takayasu, Courtesy Jenny Lerner. The gloomy crowd that shuffled into the Brooklyn Academy of Music in June looked like a funeral procession. They were there to see Cedar Lake Contemporary Ballet's final performances; they were prepared to grieve. Grace under pressure: Copeland (with James Whiteside) in Swan Lake. Photo by Gene Schiavone, Courtesy ABT. 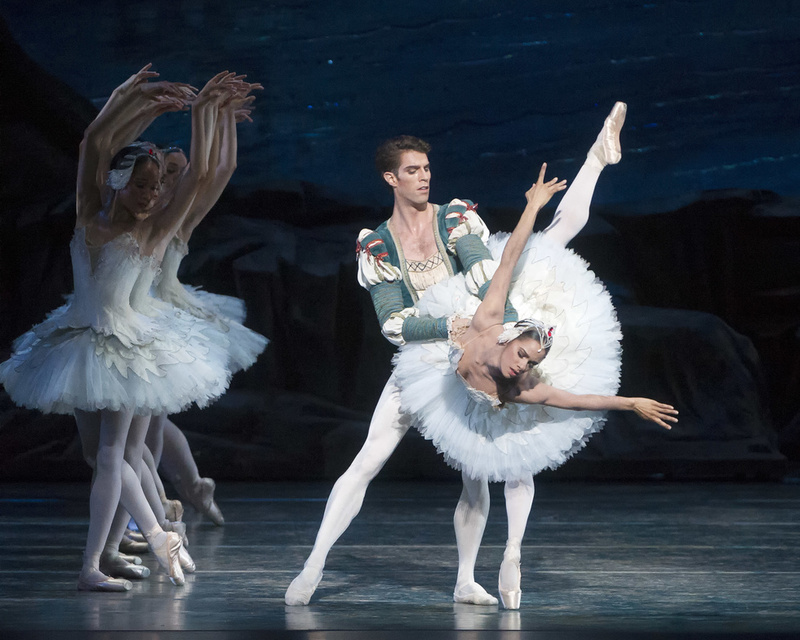 Fans of American Ballet Theatre's Misty Copeland would have cheered at anything she did, so it was automatic that her first Swan Lake in New York City would get a standing ovation. But Copeland's sold-out debut was also artistically satisfying, especially her Odette. For a dancer who consistently brings fire and joy to the stage, portraying the white swan was a challenge. But coached by ABT ballet master Irina Kolpakova and artistic director Kevin McKenzie, Copeland took her time expressing Odette's sadness of being under a spell. Her long limbs extended into space with pathos, settling into exquisite lines. Her head and neck were beautifully expressive, and she took comfort in her closeness to Prince Siegfried (danced with ardor by James Whiteside). Her magnificent timing allowed us to feel the pull between fear and hope, sorrow and romance. A true band of brothers: NYCB's men in Rodeo: Four Dance Episodes. Photo by Paul Kolnik, Courtesy NYCB. George Balanchine found rich inspiration in sisterhood, in the strong female communities of Serenade and Concerto Barocco. So when New York City Ballet premiered Justin Peck's Rodeo: Four Dance Episodes—a ballet with a cast of 15 men and a single woman—its band of brothers immediately drew comparisons to Mr. B's women. Bromberg with Andrei Chagas in Heatscape. Photo by Leigh-Ann Esty, Courtesy MCB. An étoile is born: Hecquet in her Swan Lake debut. Photo by Ann Ray, Courtesy POB. After dancing many years as an anonymous swan at the Paris Opéra Ballet, there was a sense of vindication to Laura Hecquet's authority as Odette/Odile in Swan Lake last March. At 30, Hecquet proved she is one of the purest exponents of the French school today, all smooth precision, with fouettés like clockwork. And her instinct for tragedy signaled a born principal: Hecquet's Odette understood her fate from the start, and drew the audience in with elegiac adagio work. Total focus: Hulland with Ricardo Rhodes (left) and Ricardo Graziano in Monotones II. Photo by Frank Atura, Courtesy Sarasota Ballet. One to watch: Kaas in The Flower Festival in Genzano. 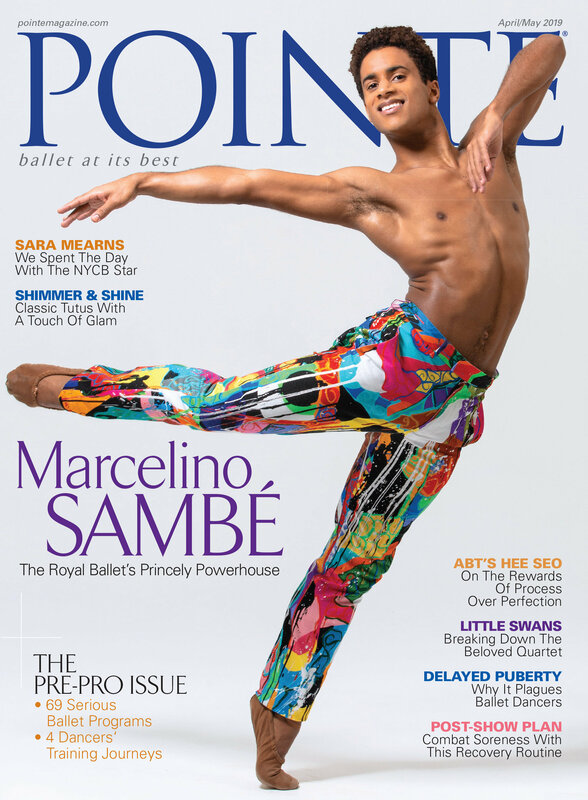 Photo by Kyle Froman for Pointe. Going all in: Wilkes with Robb Breseford in Writing Ground. Photo by Margo Moritz, Courtesy Alonzo King LINES Ballet. 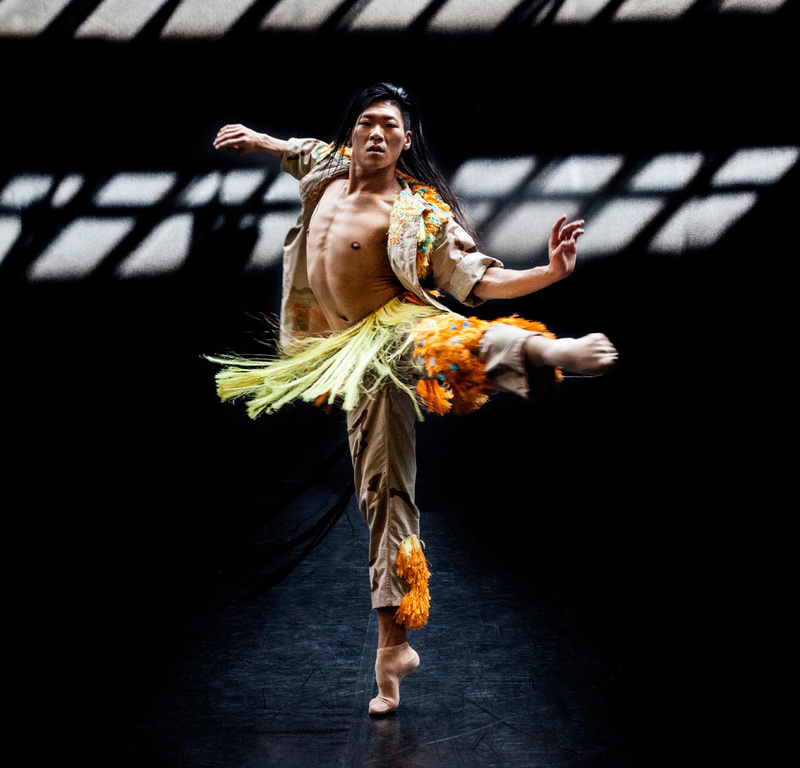 Few dancers can master the squiggly, daredevil choreography of Alonzo King, including his 2010 ballet Writing Ground. But for Kara Wilkes, a four-and-a-half-year LINES Ballet veteran, the intense emotionality required for the piece's final movement proved more difficult. In it, four men partner (read: pull, lift, prod, catch, support) Wilkes—though it's not often clear if her character is aware of her surroundings. "At its core, the role represents the spectrum of the human experience," Wilkes says. "Sometimes my character is strong and she knows where she's going. Other times she feels tender, vulnerable—even blind." Steely precision: Benton (with Brandon Freeman) in Traveling Alone. Photo by David DeSilva, Courtesy Amy Seiwert's Imagery. André, shown here in rehearsal, was a musically nuanced Juliet. Photo by Erik Tomasson, Courtesy SFB. It’s rare to see celebrated ballet dancers outside of the grand opera houses that form their natural habitat. But Martha Clarke’s Chéri, which runs through December 22 at New York’s 294-seat Signature Theatre, gives audiences an up-close look at prima ballerina assoluta Alessandra Ferri and American Ballet Theatre star Herman Cornejo. Based on the novella by Colette, which traces a turbulent affair between aging but glamorous Léa and dashing young Chéri in turn-of-the-century Paris, the multidisciplinary work poses a special challenge for two gifted dance-actors. It also marks a new phase in Ferri?’s post-ballet career. ?”When Martha proposed Chéri, I thought how incredible it would be to play somebody who belongs to me, now, and not to pretend to be 18,?” Ferri says. ?”There is something wonderful about looking at yourself as you really are?—as Léa does in the stories, and as I am doing in this process. ?” Pointe went inside an intimate Chéri rehearsal with Clarke, Cornejo and Ferri. Can You Learn Stage Presence? Alessandra Ferri in "Romeo and Juliet." Photo by Rosalie O'Connor, Courtesy ABT. To watch Irina Kolpakova coach Swan Lake is to witness a true artist at work. Although long retired from the stage, the American Ballet Theatre ballet mistress still possesses a commanding presence and an instinctive artistic spirit. "Don't think about your shape when you first see Siegfried," she tells principal Isabella Boylston during rehearsal for Odette's Act II entrance. "This is not 'port de bras.' This is 'Don't touch me!' 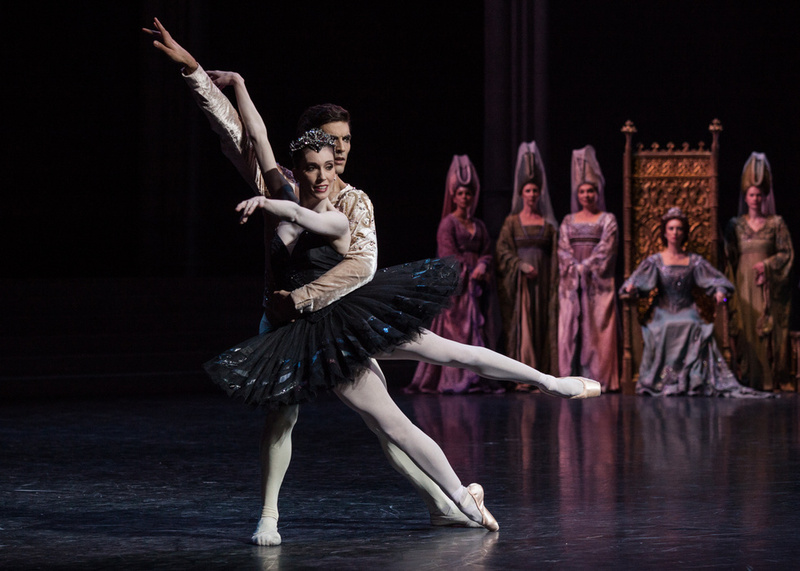 " Kolpakova demonstrates, transforming instantly into the Swan Queen. Her eyes sparkling and alive, every inch of her diminutive stature swells with a palpable energy capable of reaching the highest ring of the balcony. Call it stage presence, call it the "it" factor, some dancers just have a natural ability to draw people in and change the atmosphere around them. Stage presence can carry a dancer to a higher artistic realm. It's the final piece of the puzzle, the emotional heart of a performance that can bring an audience to tears. Without it, even the best choreography risks falling flat.